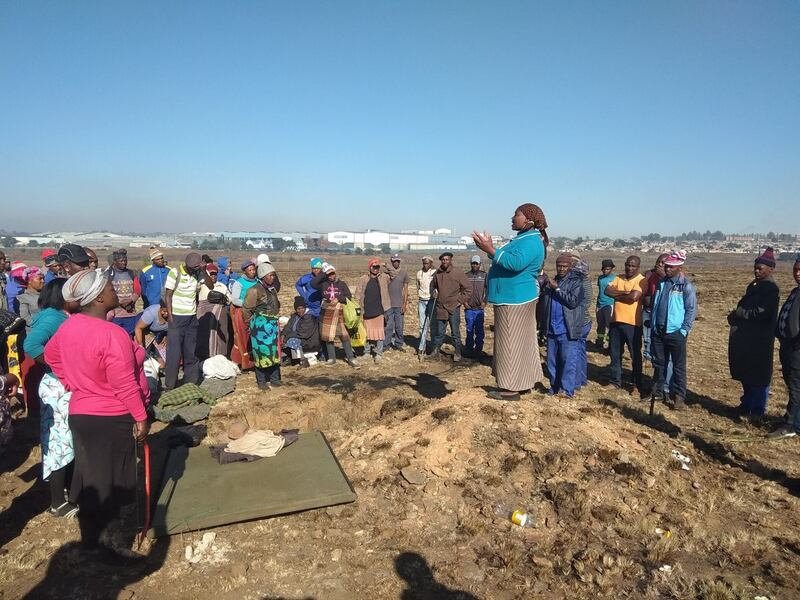 Abahlali baseMjondolo in Gauteng who are currently in occupation of formerly unused land in the East Rand continue to resist in the midst of the continuous demolishing of their structures by the metro police. Today the metro police arrived at the occupation and demolished and burnt again. Abahlali continue to resist on the Zikode Extension Land Occupation on the East Rand in Gauteng. We continue to resist. We will not move. We are demanding to be addressed by the premier David Makhura. We have been promised this land by the then MEC of Human Settlements in the province, Paul Mashatile. We are sick and tired of empty promises. We want to hold the Gauteng government accountable for the land that they have promised to us. We know that our struggle for land has been reduced to criminality. We are not invaders, land grabbers or anarchists. We occupy land for our survival. We occupy land for living. For too long we have been living in shacks of indignity. For too long we have been living like pigs in the mud. For too long black people have been denied access to land by the colonial system. We were further deprived of the right to the cities by the apartheid system. We have been patient enough. We have waited for the ANC led government to give us access to land and to democratise the cities since 1994. Now it is the time for us to occupy this land and to take our place in this city, because nothing will not be given to us. The ANC has clearly failed to distribute land to us. When we occupy land we are encouraging a democratic urban planning process from below. We will continue to occupy vacant land for the benefit of the impoverished people of this country. Those who are in need of land must organise in democratic structures, build their power and occupy. We continue to believe in the principle that the social value of land must come before its commercial value. Those who are occupying land so that they can sell it or rent it out do not represent us. We believe that land must be occupied for survival, for living and thriving. Instead of addressing the issue of the land, and democratising the cities, the ANC led government sends police to attack those who are occupying land. If the ANC was serious about the land question, and the urban question, they would support this occupation, and other democratically organised occupations. We would like to thank all the comrades who are supporting the land occupation in Germiston. We are not deterred. Our spirits are high as we enter the third night on the occupation. We are unshaken by the metro police. We will hold this land. Abahlali baseMjondolo, May 13, 2018.